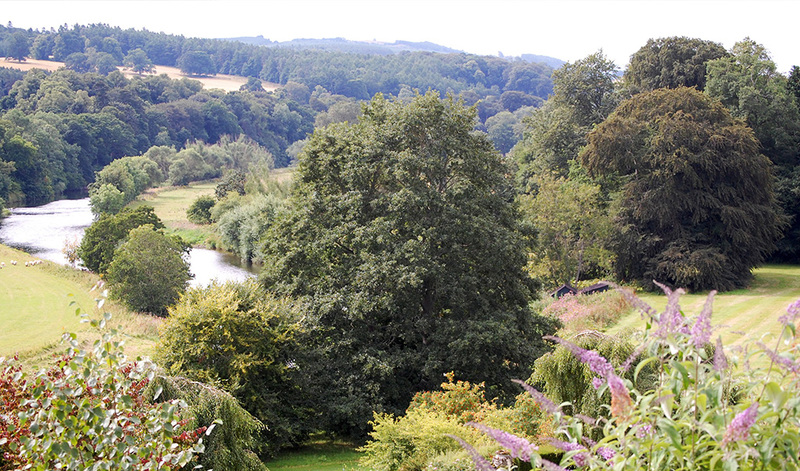 She thus explained the special magic which Monteviot has exercised over successive generations since the 1st Marquis of Lothian built a small fishing lodge on this delectable site overlooking the River Teviot. The Kerr family acquired the lands which form the present Monteviot estate in the Sixteenth Century; previously the area had been church property with a medieval Hospitaller establishment, known as the Ancrum Spittal, situated just to the west of the present house where traces of the old chapel and burial ground still remain in the woodland. The Kerrs themselves are an old Borders family, recorded in the Lowlands from the Twelfth Century. The Marquis of Lothian’s immediate ancestors, the Kerrs of Cessford and Ferniehirst, were active in the service of the Crown in the Fourteenth and Fifteenth Centuries and notorious rievers as Wardens of the Middle March. Monteviot itself is an ancient site, and Dere Street, the Roman road from York to Newstead at Melrose (Trimontium), runs through the park. 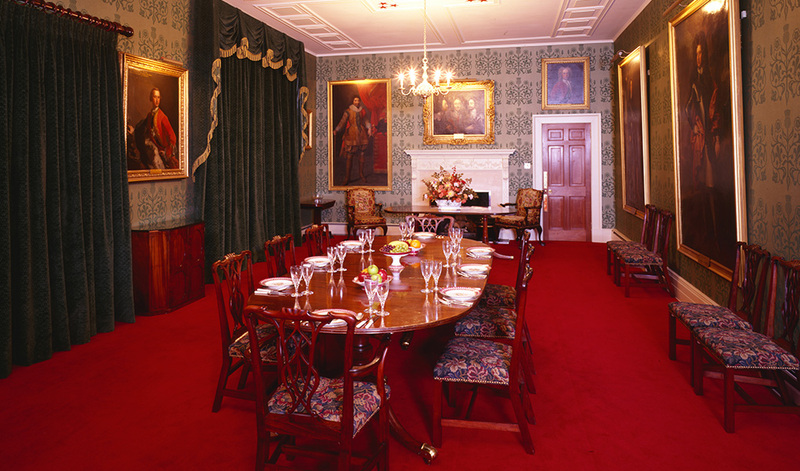 The present house of Monteviot began as an early-Eighteenth Century lodge – the earliest reference is in a lease of 1727 when it was called Mont Teviot Lodge. This small house was developed later in the Eighteenth Century into a model Palladian villa, with a centre block of three bays and two storeys (the old lodge) and curving quadrant links leading to a pair of single-storeyed pavilions. This charming Georgian lodge still forms the nucleus of the house. 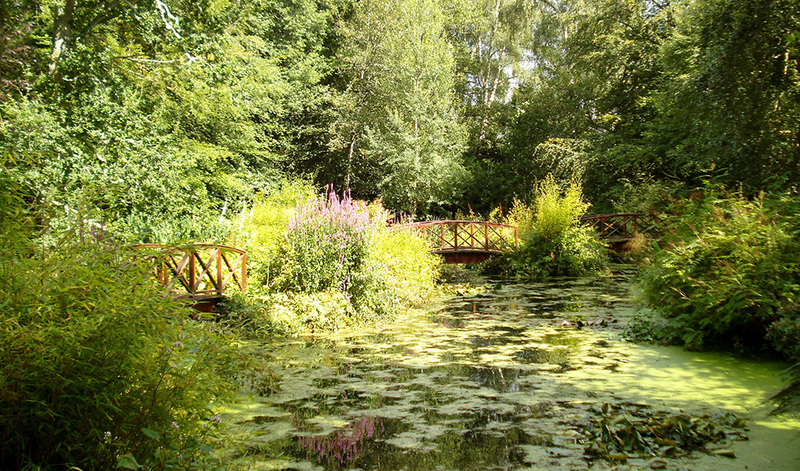 In the Nineteenth Century Monteviot, with its superb site on a bend of the River Teviot, came to be greatly admired. At a time of increasing enthusiasm for the beauties of natural landscape, it was developed into the principal seat on the Roxburghshire estates of the Marquises of Lothian, replacing the old castle at Ferniehirst which had not been much used after 1700. 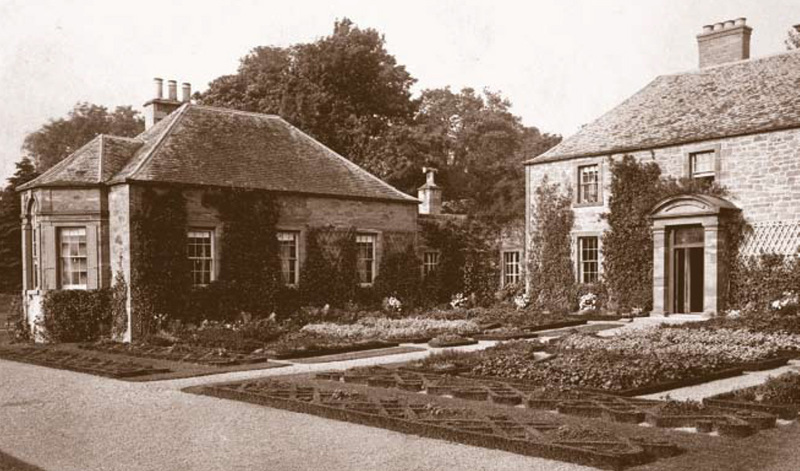 The 6th Marquis started the great programme of improvement and amenity planting on the estate, which was to continue for much of the Nineteenth Century. 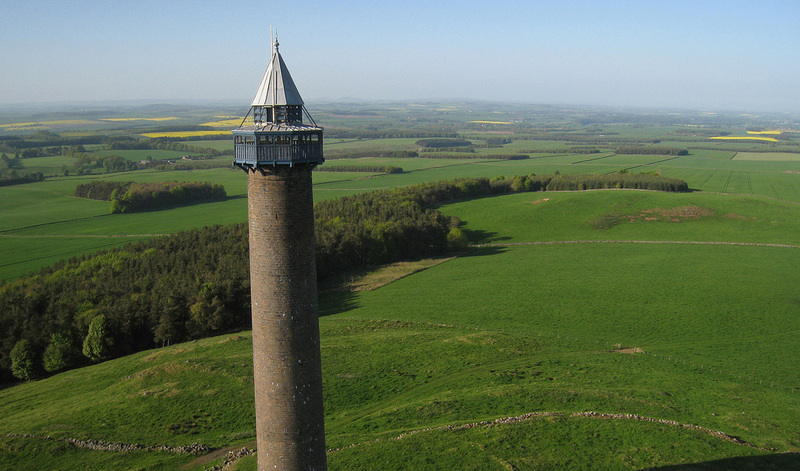 He was responsible for the tree belts north of the house and also built the large Wellington Monument on top of Penielheugh which remains a landmark for a very wide area. His son, the 7th Marquis, commissioned ambitious designs from Edward Blore for a new stone, Jacobean-style mansion at Monteviot. This was begun in 1832 but never completed, leaving the modest Georgian house and Blore’s elaborate Jacobean-inspired office wing side by side and creating a dichotomy which has determined the unusual but attractive architectural character of the house down to the present day. The 9th Marquis, Schomberg, and his family in the late 19th Century spent much of their time at Monteviot which was more easily accessible after the construction of the railway; he extended the house to the north, adding a billiard room, chapel, fives court, water tower and other structures between 1877 and 1890. This piecemeal development resulted in a house which was something of an unpractical labyrinth, and when the 12th Marquis of Lothian took back the property in 1961, he demolished some of these additions, replanned the interior and added a new hall and north front to the design of Schomberg Scott, a grandson of the 9th Marquis, who knew the house well from childhood holidays. He was then the consultant architect to the National Trust for Scotland. These new additions to Monteviot are among the most interesting post-war country house work in Scotland. 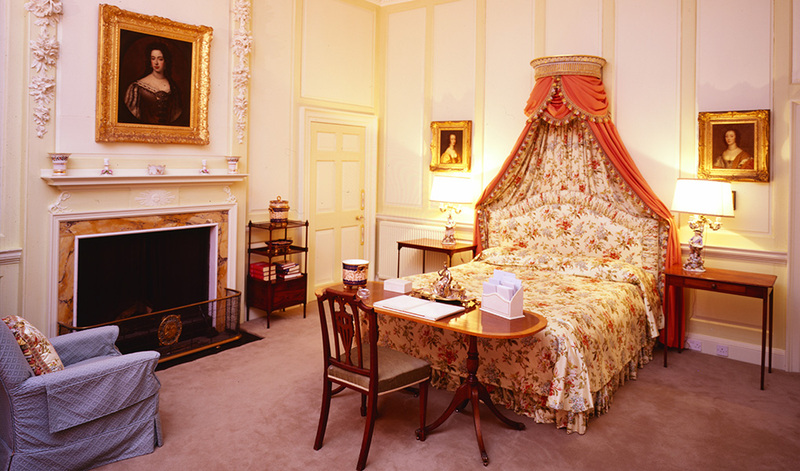 In recent years the house has again been extended and redecorated and many improvements carried out there and in the gardens by the 13th and present Marquis of Lothian and his wife.